New York, NY—The Polaroid brand released its newest cameras in the photo and home security categories: the Polaroid Pop instant digital camera and Polaroid Hoop wireless home camera. The Polaroid Pop combines a modern design and digitaltechnology to produce high-resolution 3.5×4.25-inch bordered photos that print in less than a minute. 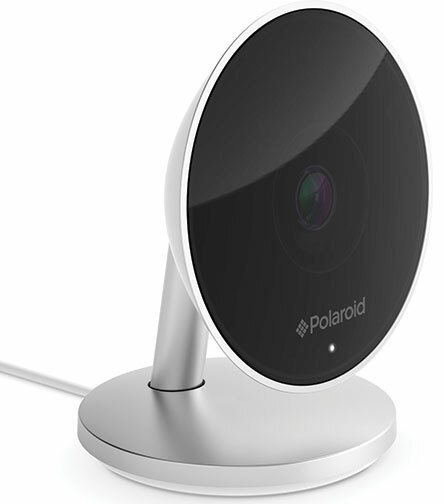 “The Polaroid Pop instant digital camera and Polaroid Hoop home security camera initially debuted at CES 2017 to much fanfare,” said Scott W. Hardy, president and CEO of Polaroid. “We’re excited to have these products on display at IFA and showcase them to the European market. For 80 years, Polaroid has been committed to providing consumers with the latest imaging technology that enables them to easily share their lives. “The Polaroid Pop and Polaroid Hoop offer modern takes on this idea for every aspect of consumers’ lives,” added Hardy. 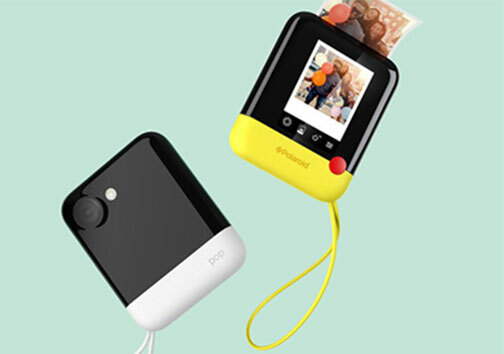 As an all-in-one solution for capturing and sharing images on the go, the Polaroid Pop camera permits users to shoot and instantly print full-color photos as 3.5×4.25-inch Polaroid border prints. Consumers can edit and enhance photos before printing with creative filters and digital stickers. They can also use a draw feature that permits them to write or draw at the bottom of the photo. 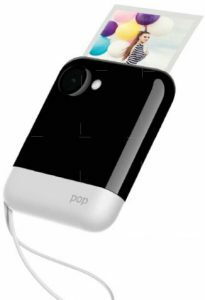 Moreover, the Polaroid Pop connects to a mobile device using Wi-Fi or Bluetooth. Once connected, users can save photos taken with the camera as well as print photos saved on the mobile device. The Pop is also capable of recording 1080p Full HD video. The Pop camera uses ink-free Zero Ink Printing technology developed by ZINK. Its ZINK-enabled printer uses heat to activate and colorize cyan, yellow and magenta dye crystals embedded in the photo paper. The result is full-color prints said to be long lasting as well as smudge-proof—without using ink cartridges, ribbons or toner. 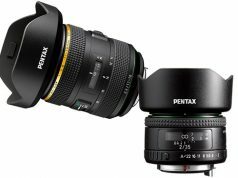 3.97-inch touchscreen LCD for framing shots and navigating the camera’s menu; a built-in dual LED flash; and image stabilization. The Polaroid Pop instant digital camera will have an suggested retail price of $199.99. A 10-pack of paper will retail for $9.99. The Polaroid Hoop camera offers 1080p high-definition video resolution and a 140º lens with a wide-angle view to maximize coverage. The Hoop security camera is designed for simple setup with an intuitive app available for both Android and iOS. The affixed base of the Polaroid Hoop can be placed on a shelf or table as well as be mounted to a wall or ceiling. In addition, users can install several throughout their home and monitor and access footage from one app. The installed cameras are grouped together and labeled to capture and identify events in specific areas of the home. And users can schedule recordings in a particular area. The primary account holder can also assign, manage and share access to specific cameras with friends and family. The Polaroid Hoop also offers monitoring capabilities that detect events and automatically alert the user via the app and push notifications. Users can set specific zones and only trigger an alert should anything change within that area of the frame. 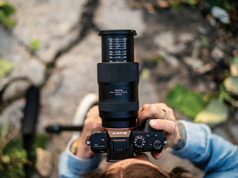 The camera also leverages a proprietary algorithm that over time can learn to distinguish between normal daily events and those that occur unplanned. 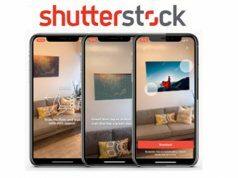 Furthermore, when the camera detects an event, it automatically records the footage for the duration of the event and sends a push notification to the user’s smartphone to view the file locally on an optional microSD card or store in the cloud for up to seven days for free. The Polaroid Hoop is available in two models, indoor and outdoor. The outdoor version boasts weatherproof construction to withstand the elements. The SRP for the indoor camera is $179.99; the outdoor model retails for $199.99.